- Victory Gardens Theater is replacing Chicago is Burning, the last production of their 2012-13 season, with a new play by Associate Artist Luis Alfaro, entitled Mojada. According to the theater, it sounds as though Marcus Gardley&apos;s Chicago is Burning just wasn&apos;t quite done gestating: "Victory Gardens intends to find the appropriate time to present Gardley’s play when it is ready for production." 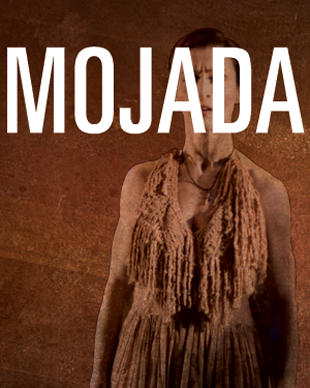 Mojada is described as "a breathtaking reimagining of Euripides&apos; Medea transported to Chicago&apos;s Pilsen neighborhood." As of now, their schedule has not been updated, but at left is the new production&apos;s artwork. - Never fear: Theater Wit is of course bringing back The Santaland Diaries for the ninth year in a row. - Lookingglass has extended Metamorphoses for a second time, through the holidays. - "Not-for-profit theaters contributed nearly $1.94 billion to the US economy and attracted 34 million attendees, according to Theatre Facts 2011." Additionally, the report indicates that theaters gained an audience of 3 million between 2010 and 2011, and income increased over 15 percent. Read more at the link.